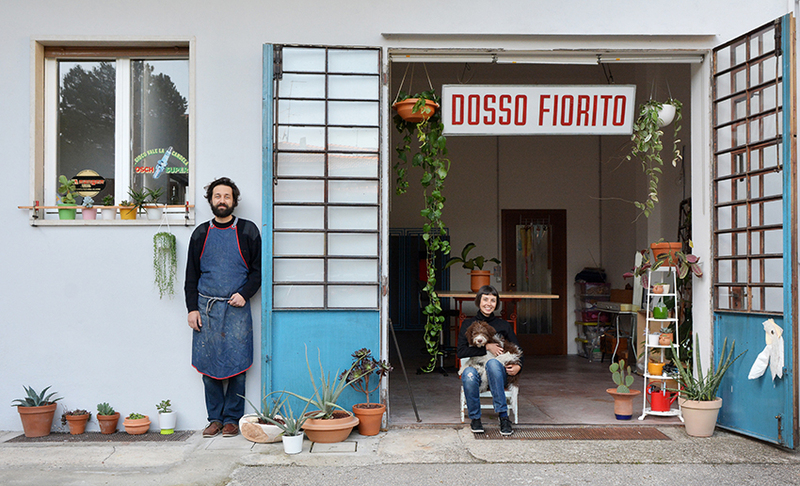 Livia Rossi and Gianluca Giabardo – the pair behind Italian design studio Dossofiorito [literally “flowery hill”] – do not only design for humans, but for plants too. 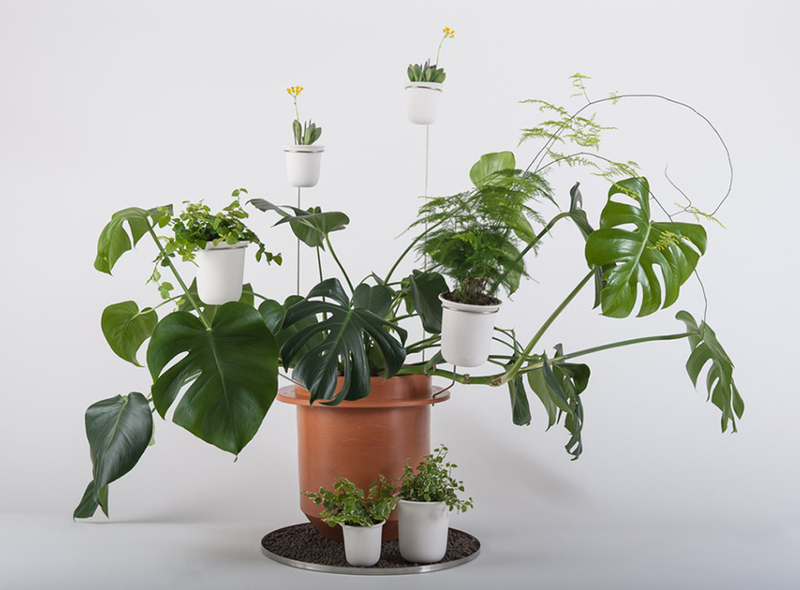 Attentive to the quiet green world around them, over the years they explored the connectivity and bounds that can grow between people and houseplants. Eager to share their passion they agreed on replying to some questions by Laura Drouet. How would you describe your relationship with plants? We consider the plants that share our house, balcony and studio, along with Aru our dog, as part of the family. We speak to them and grow really attached to them. 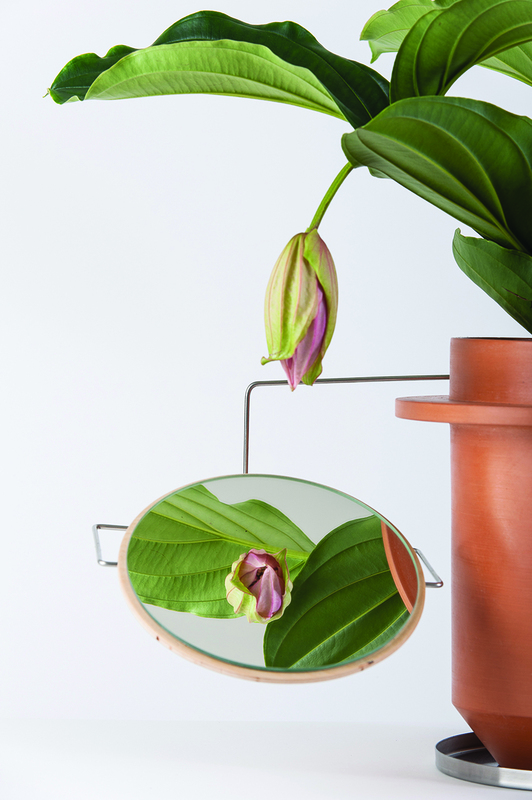 Your work ranges from collectible design to more interactive projects encouraging for instance children’s participation and creativity, yet, your recurrent incline for plants constitutes a peculiar and interesting red thread. Where does this passion comes from? Our interest for plants comes a long way. Although we both grew up in urban surroundings, we also had the opportunity as children to be very much in touch with Nature. But we never realised how deep our interest in plants was until they became – almost by accident – asubject to explore in our projects. When we saw that we got many plant specimens (maybe too many! ), we started questioning our attitude and this profound need of being surrounded by plants. 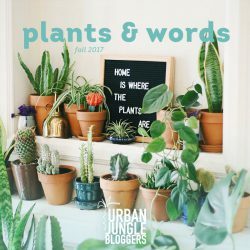 It occurred to us that it might be interesting and relevant to do a project on the bound that a person can develop with the houseplants sharing his/her living environment. According to French botanist Francis Hallé, plants are too often forgotten and rarely seen as living being simply because they are biologically too far from humans. 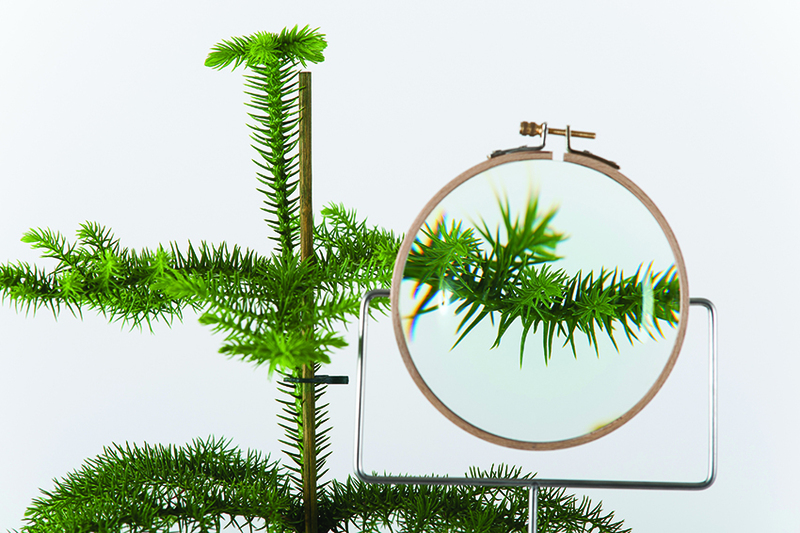 Many of your project such as The Phytophiler collection provides the user with a set to study and interact with the plant itself using human’s senses such as touch and view. According to you, why is learning to understand the kingdom Plantae so vital? Recent scientific researches have proven that plants can move, communicate, react to external stimulus, even have memories of past experiences! This new awareness necessarily brought about a new and more respectful attitude towards them. Our Phytophiler projects simply go in that direction: they are not do-it-all tools – they don’t water for you, they don’t feed the plants for you – because we wanted to bring people closer and make them more engaged with the plants. 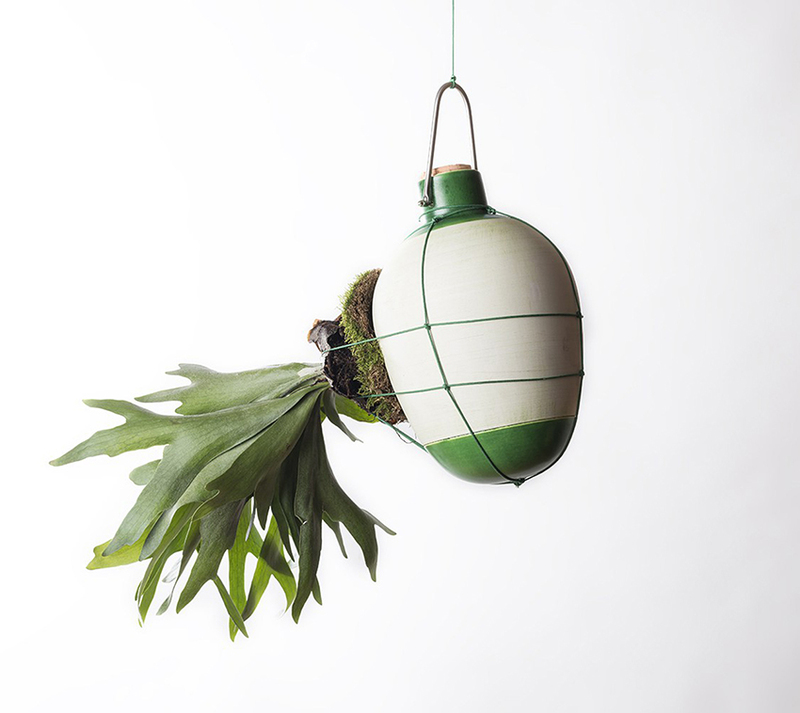 Knowledge and recognition constitute the base of your Epiphytes project as it respect the air-plants metabolism. What inspired you for this project? While conducting researches on plants for The Phytophiler, we learned about epiphytes (plants that do not grow in the soil but on another plant or tree in the wild). We were astonished to discover that many of the plants that are grown as houseplants belong to this category – 70% of known orchids, a third of the ferns, and even some cacti are epiphytes. 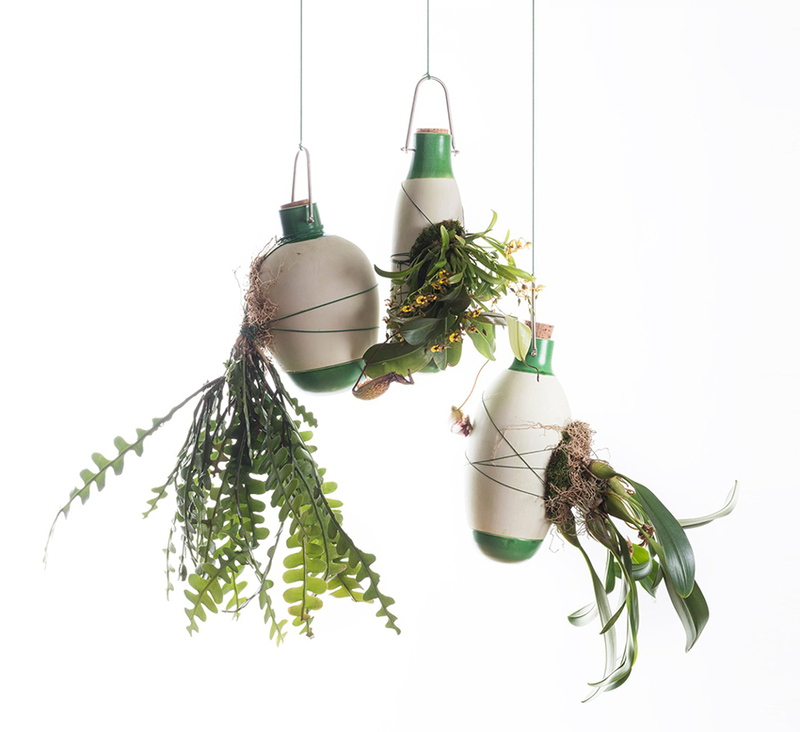 The Epiphytes vase follows the natural growing attitudes of a plant. What inspired us this project were the ollas (terracota container used for centuries in vegetable gardens) but also the cultivation methods of orchids in tropical countries where the plants are grown on the outside surface of terracotta pots resting in trays filled with water. 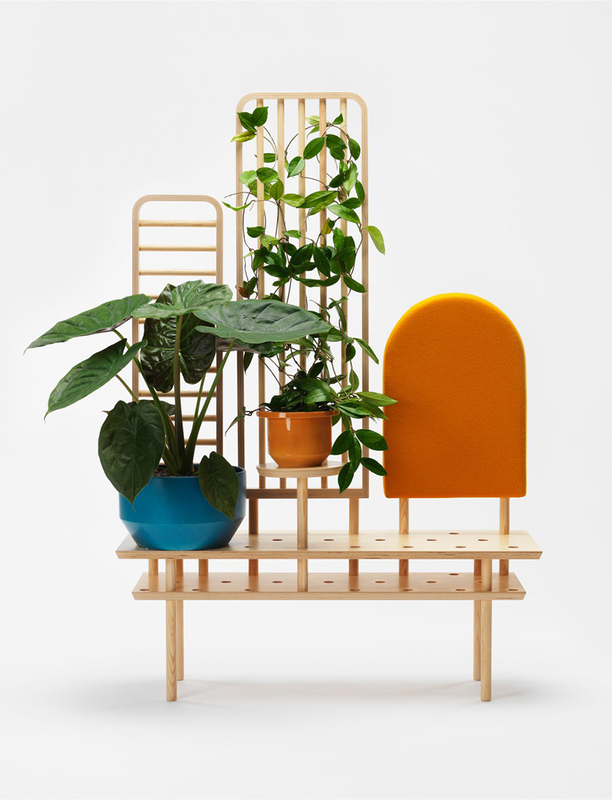 Etta: a multifunctional furniture that display and store objects, and act as a space divider. 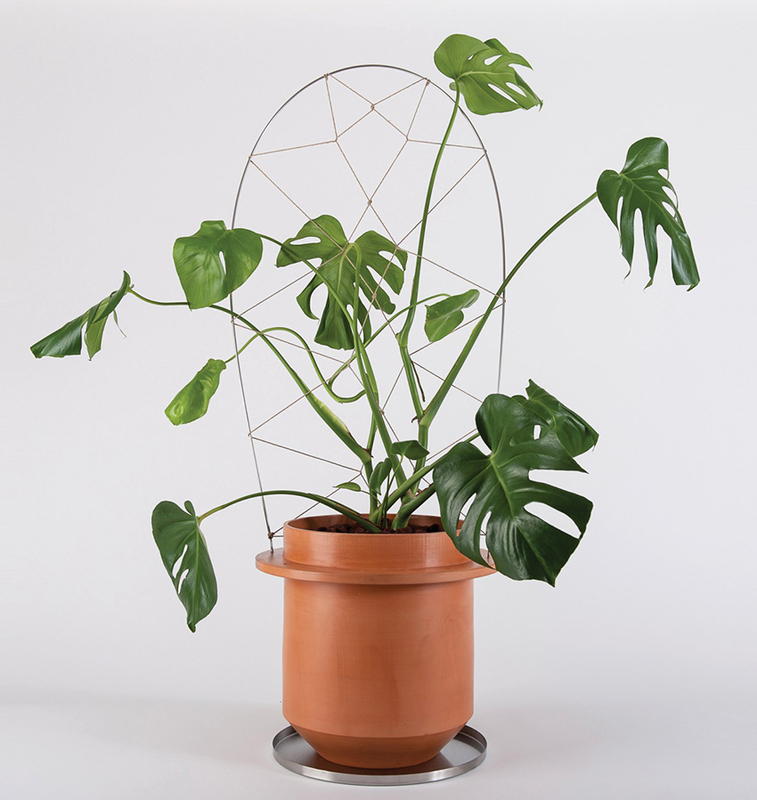 How do you see your role as product designers when it comes to plants? In our designs we try to be attentive to the materials we use and enjoy to work with small scale producers, with a direct control of the production. We believe that the bottom line of many of our plants projects is the idea that plants are not just a decorative element. None of our projects are for immediate fruition but suggest more that people are embarking on a long term commitment with each specimen. It is just with time and care that we’ll enjoy the most the presence of the plant.